When I went gluten free and sugar free about 7 years ago, I was determined to find a good pizza. What I found were gluten free crusts, but they all included some form of sugar. I made one out of almond flour that my husband kindly referred to as a thick, heavy almond mush…and that’s what it tasted like too. After looking for a couple of years I gave up the battle and resigned myself to never having pizza again. A sad day. It was after we had a pizza party at our house, with the pizza smell wafting from the oven, that I knew my search was not over…I had to find a pizza dough that would work. One night on Facebook I stumbled across a posting from a company called Chebe. I was intrigued by their gluten free breads and started to look into their ingredients and see what other products they offered. 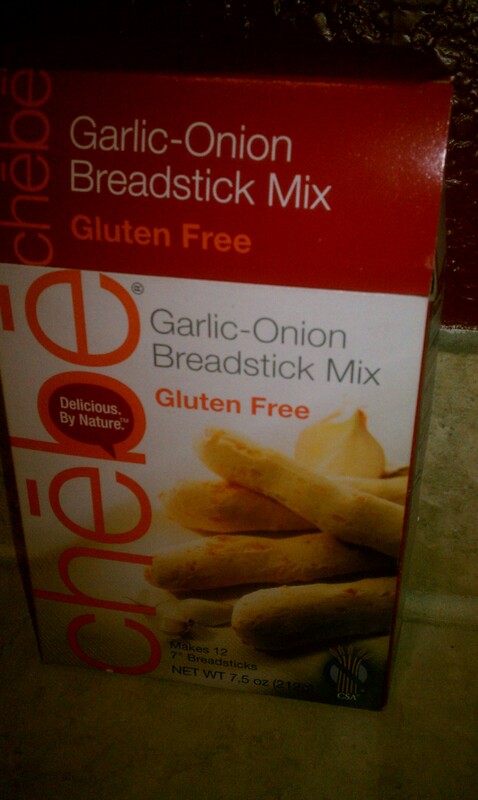 I found a pizza dough mix as well as a breadstick mix that were not only gluten free but sugar free too! Now visions of childhood and eating breadsticks at Pizza Hut with my family danced in my head. I brought myself back to reality and remembered not to get excited until I had actually found the mix in the store and actually made it to see how it tasted. 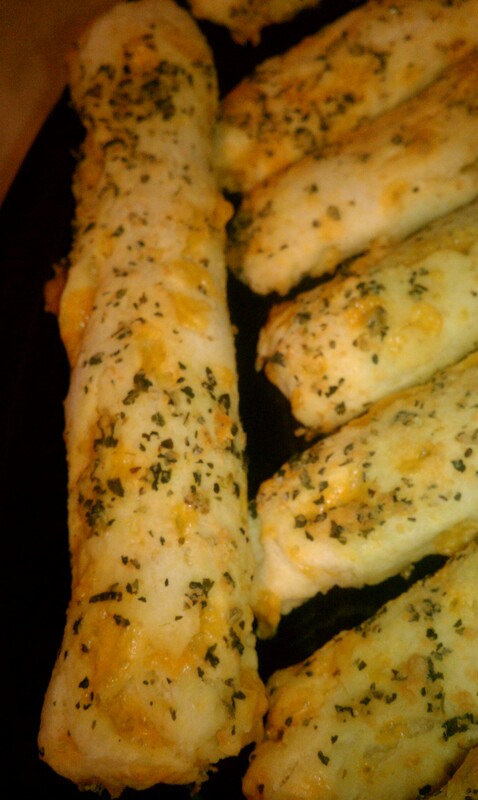 The verdict is in…pizza and breadsticks are back in the game! 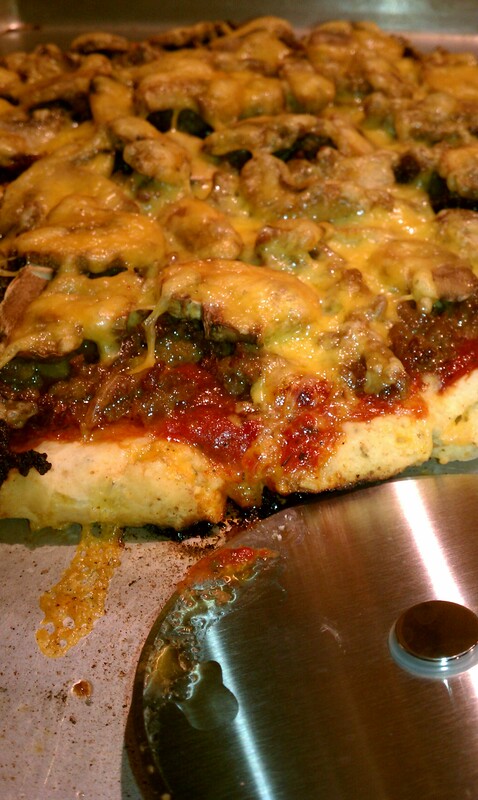 Now for a couple of pictures and tricks to make your pizza and breadstick experience the best! Pizza: We used the instructions on the back of the Chebe box, but also baked the crust first for 10 minutes before toppings to ensure a crispy crust. We made a pizza sauce from tomato sauce, crushed red pepper, Italian seasoning, black pepper, salt and a bit of agave (to taste). Breadsticks: We used the instructions on the back of the Chebe box. Then I mixed up some olive oil, basil, oregano, salt and parmesan cheese to spread over the top of the breadsticks before baking. Make a bit of extra pizza sauce above for dipping your breadsticks.